Gwanghawmun City Tour Bus for those who want to make romantic memories enjoying the colorful streets of Seoul and taking the best photos. Seoul City Tour Bus is a shuttle bus that runs the hottest course in Seoul. It offers a great time to enjoy the ancient history and modern history with ears and eyes through a professional audio tour guide in 12 languages. • The Night Course offers a beautiful view of Seoul with the Han River in its arms. You can leave a romantic memory traveling along the course. 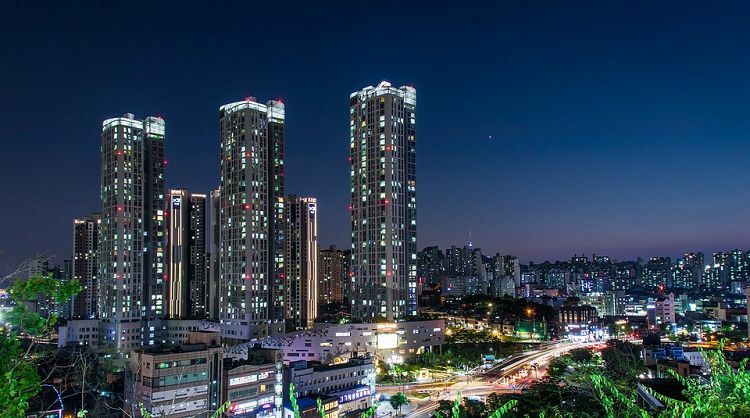 Take special pictures of Korea’s night view along Han River while enjoying the beautiful night view of Seoul! 2. Present the voucher at the ticket counter, get a ticket bracelet. 3. Board on Seoul City Tour Bus. 1. Night Course is operated when the number of people is above 10. 2. The type of vehicle is randomly selected among two-story bus, high-decker bus, and trolley bus, for the Night Course. 3. The type of vehicle may be changed depending on vehicle maintenance or the booking status. 5. For first stop, Gwanghwamun Station, most people can sit and enjoy the tour. If you board in the middle of the course, you may have to stand without a seat if there are many customers. You may stand in if you want to. 6. Reservation has to be made by 15:00 1 day prior to the boarding. 7. 30 Minutes of photo time in Namsan Seoul Tower if offered. 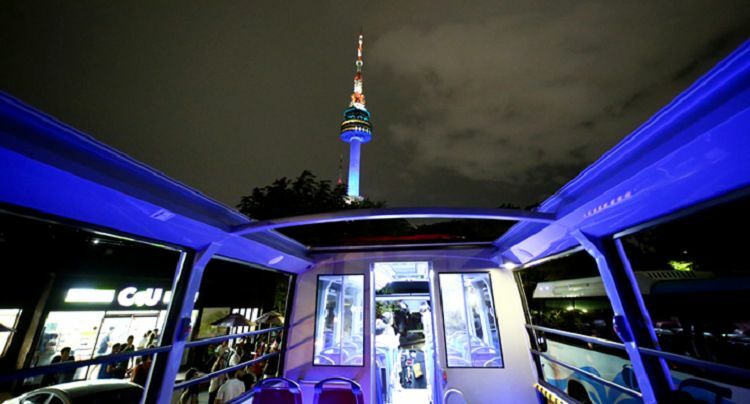 However, due to the two-story bus’s characteristics, it will not go up the Namsan. Q. What is the photo time of the Night Course? A. 30 minutes of photo time at Somesevit or Dongjak Bridge (only for two-story bus). 30 minutes of photo time at N Seoul Tower (two-story bus is excluded).